Many people find it difficult to dryfire every day because they don’t have access to a firearm. Airline pilots and business people whose job require frequent air travel have a hard time of it. There are different ways of dealing with it. The first would be to practice every day you do have access to your firearm and start counting. Doing that means you wouldn’t have a consecutive progression of the 1,000 Days but you would still get in 1,000 Days, it would just take longer. Another approach would be to broaden the focus of your practice, as I mentioned in Part I. That’s one reason I entitled this series 1,000 Days of Practice. The memory aid I use for personal protection is RADAR. What is wrong in my right world? Ready Again – be ready for your plan to need adjustment or the police to arrive. Dryfire is one component of the Ready stage but it’s certainly not the only one. Understanding the criminal mindset and their methods of operation is also key. How about spending a few minutes periodically reviewing criminal victimizations that occurred to others and wargaming how to either avoid or deal with the situation? I have taken this so far as to go on a field trip to the location of a particularly bad incident and actually observe the lay of the land. There are games that smart cops used to play to tune up their situational awareness. How common they are anymore, I don’t know. For instance, when in a waiting area, look around the room, then close your eyes and try to describe everyone in the room; clothes, height, weight, etc. That would be Aware practice. Or, let’s say you encountered something that caused your to Alert and then realized it wasn’t a problem. You could mentally wargame what you thought the original problem and your solution. Take it all the way through to Ready Again, including your interaction with the authorities afterward. There are many different ways to approach the 1,000 Days and tailor the focus to your personal needs and circumstances. I’ll be going through a more in-depth explanation of RADAR, including some decision exercises, in the Violent Criminals and You class that William Aprill and I are teaching next month. William will be giving his extensive presentation on the criminal mindset and how differently criminals think. Fast is fine, but accuracy is everything. In a gun fight… You need to take your time in a hurry. One of the memes in firearms training is “I’ve never seen a timer in a gunfight.” This is hugely misleading in the way it’s often understood. The timer that is present is your life-clock. Don’t think it isn’t running every nanosecond of a deadly force encounter. While we need to be deliberate and make our hits, as Earp stated, we don’t have all the time in the world to do so, as he also stated. So we need to establish some kind of time standards in our practice, at least for some of our drills. The question is how do we do so, both in principle and in practice? There are two principal ways of measuring time. One is measuring it directly. For instance, a shooter might be able to draw and fire a pistol in 1.4 seconds. To achieve a meaningful level of accuracy in that measurement, we would use a ‘shot timer.’ Shot timers give an audible or visual signal to the shooter and then record the time taken for the task via a microphone in the timer that hears the shots. Shot timers range from fairly simple push a button types costing around $125 to more complex devices with numerous features than run about $200. They all work fairly well. The choice largely depends on the features you want. One downside is that shot timers cost more money than many people want to spend. On outdoor ranges, shot timers work really well. On an indoor range, not so much. Measuring time is much more difficult in the indoor environment. Multiple shooters adjacent to each other interfere with using a standard shot timer. If your timer is picking up the sound of someone else’s shots, it’s not doing you any good. This issue brings us to the second way of measuring time, par time. 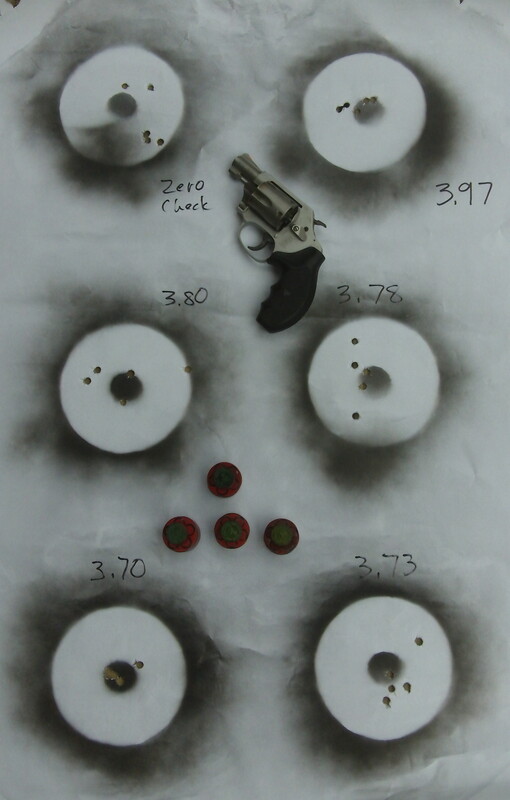 Par time means that the shooter has a fixed amount of time to accomplish the task. Drawing, reloading, and presenting from ready are all tasks that can be accomplished in par time. For instance, we might say that a police officer is allowed 2.0 seconds to draw from a security holster. Par time lends itself much better to mass training, such as in the police and military than individual measurement, which would be prohibitive for training time-wise. 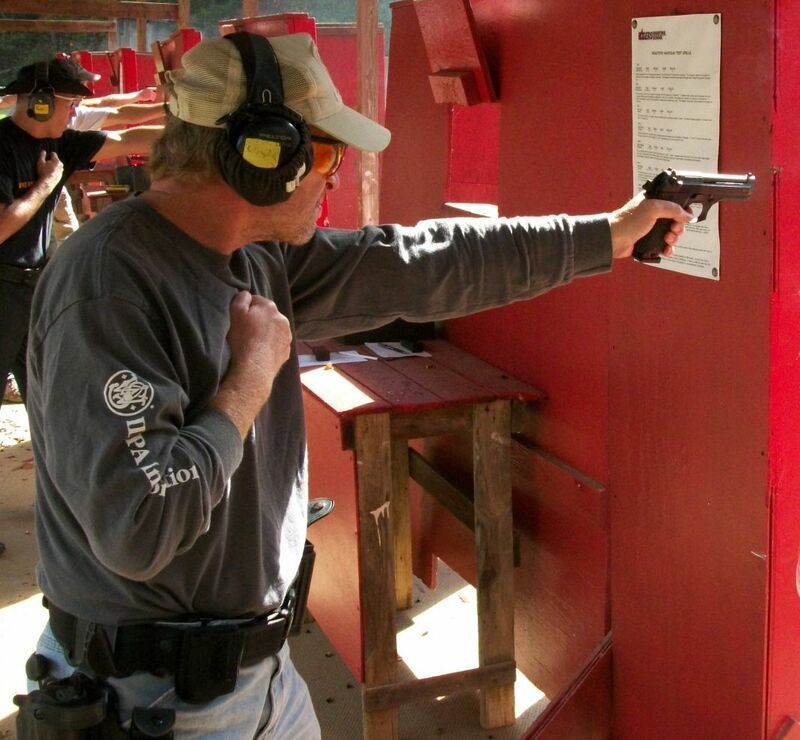 The times in the NRA Marksmanship Qualification Program and The Tactical Professor’s Pistol Practice Program are par times. So are most police qualification courses. Some ‘proficiency demonstrations’ that private citizens are required to do to obtain a Concealed Handgun License are timed. Those are par times, as well. 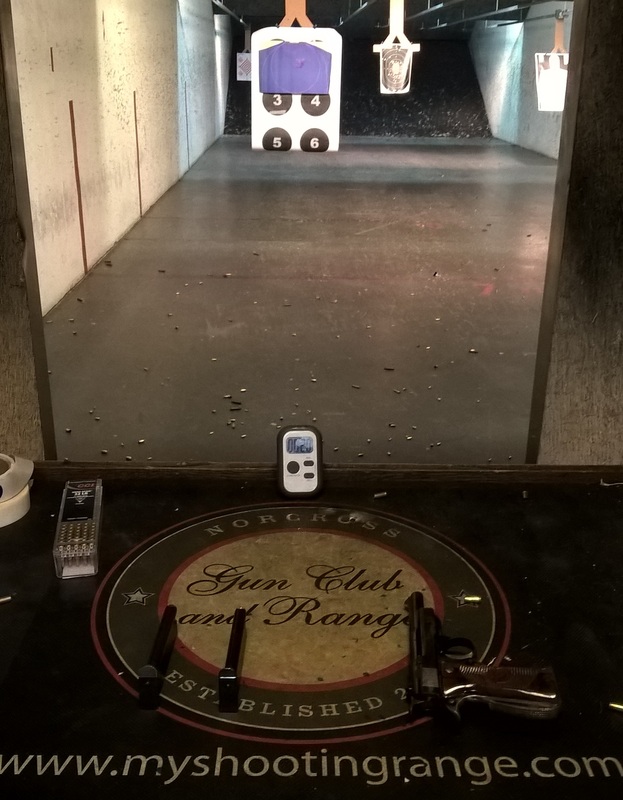 Par time can also be an effective way of practicing on an indoor range because we don’t have to be concerned with the effects of other shooters’ gunfire on a shot timer. 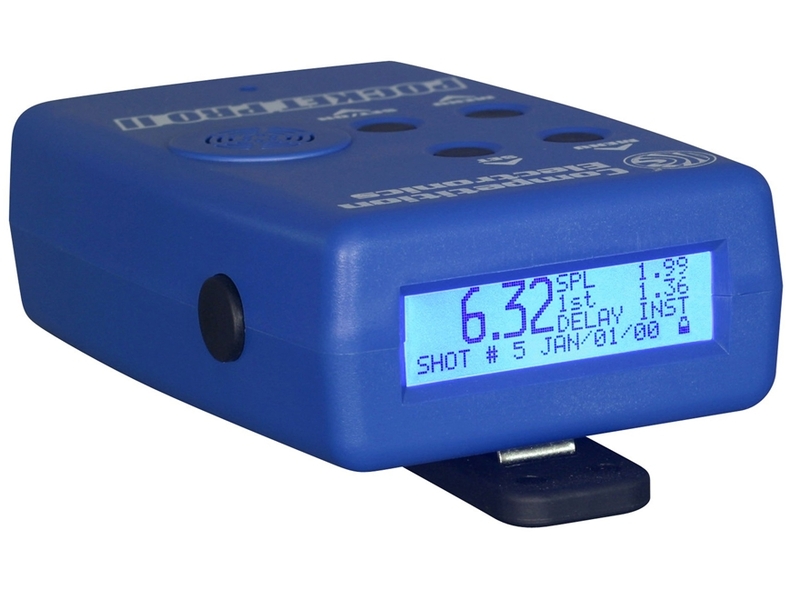 Most shot timers will also do par time by sounding a second beep at the end of the par time. Unfortunately, the second beep is easily drowned out by nearby gunfire. 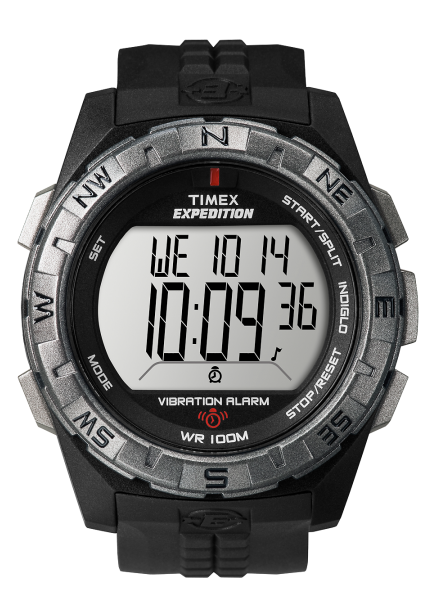 The simplest solution is to have a partner time you using a watch or stopwatch. Your partner can tap you on the back once for go and again for stop. It’s not terribly accurate but better than nothing. The first solution I used is a vibrating wristwatch. 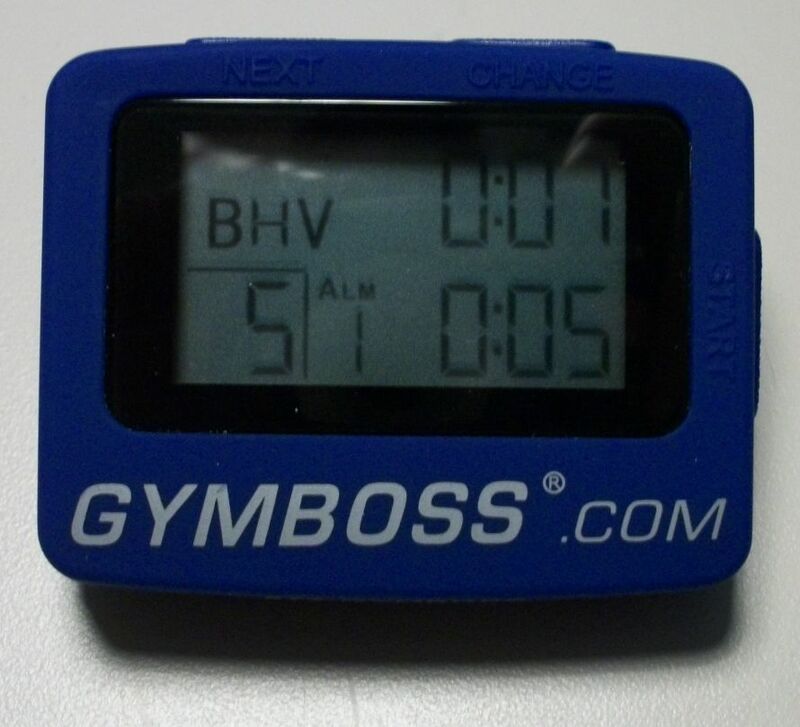 It has a countdown timer function. Another is the Gymboss that can be clipped to the pants or belt. 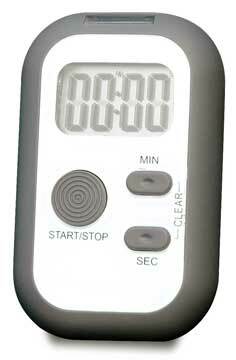 The CED Universal Countdown Timer vibrates and also has a visual signal the form of a blinking light. This is the one I find myself using most. Time is a critical component of defensive training that many people don’t work on for a variety of reasons. 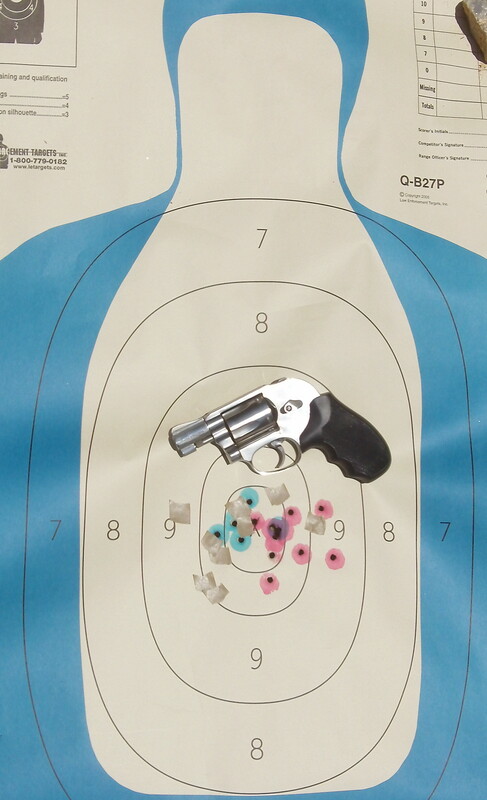 Adding in time pressure to your shooting practice is a worthwhile way to increase your proficiency. 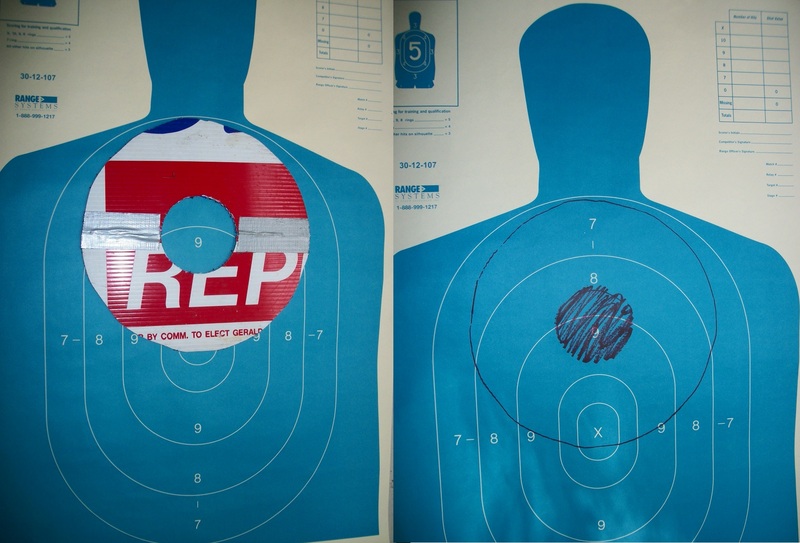 If you are going to get a Concealed Carry License in a state that times the qualification course, it’s a good idea to practice ahead of time to get a feel for the cadence you’ll have to shoot at. How much work and practice? Linda Ronstadt made the following comments [3:22] in an interview about how hard she worked at the process of learning to sing as well as she did. In order to get good, you really have to spend 6 or 8 hours a day doing it. You have to spend hours and hours and hours, day after day, year after year. It took me about 10 years to learn how to sing, even after I was a professional. It took me 10 years until I really had some control of my instrument and I could deliberately do what I wanted to do. 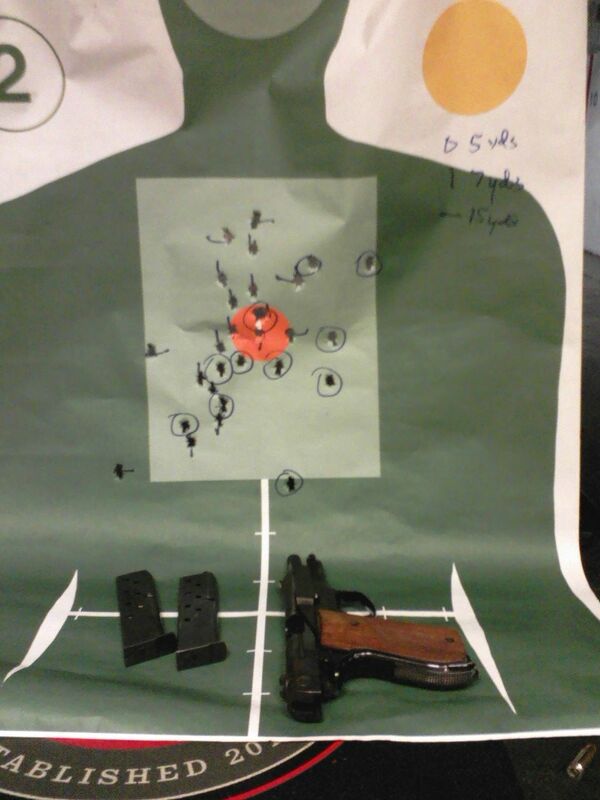 Sometimes, as I continue on with 1000 Days of Dryfire, going to the range weekly to livefire, or taking training from someone else several times a year, I wonder whether I work at it too much. Then Linda comes along and basically tells me that actually I’m only spending a minimal amount of time and effort at it compared to how hard people who are really good at their craft work. Thanks for that bit of motivation, Linda.